Buying or selling a property is the biggest, most valuable transaction most of us will make in our lives – so it’s no surprise that it can be stressful. Conveyancing is an essential part of the home buying and selling process, and it involves a great deal of work and skill. That’s why it’s important to instruct experienced lawyers to take care of the legal aspects of the sale and purchase of your property. 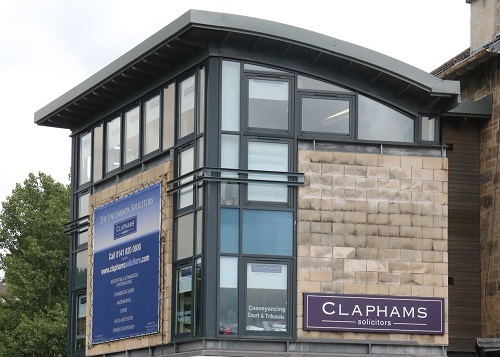 Here at Claphams, we offer a specialist residential conveyancing service. As part of our partner-led personal conveyancing service, you will have access to an expert conveyancing solicitor, who is contactable whenever you need them during your conveyancing transaction. We’ve helped numerous first-time buyers and repeat clients in Clarkston, Newton Mearns, Netherlee, Giffnock, East Kilbride and the greater Glasgow area achieve a smooth, stress-free property transaction. We use our up-to-date local market knowledge and expert negotiating skills to get our clients the best deal possible. Our approach is personal and flexible; we listen to your needs and wishes and ensure they’re addressed throughout. Contact us today on 0141 620 0800 or fill out our online enquiry form. Inform the Land Registry of the change in ownership. As your solicitor effectively takes over at the conveyancing stage, it’s not uncommon for buyers and sellers to feel they’ve lost control over the transaction – which can cause frustration and stress. We believe it’s important to maintain communication with our clients. That’s why we promise to provide you with regular updates throughout the conveyancing process and answer any questions you may have promptly and clearly. We have excellent working relationships with many local estate agents. As part of our comprehensive service, we can check if you’re market ready and recommend local estate agents to work with. The length of the conveyancing stage for your transaction will depend on how complicated it is. There are several factors that could cause delays, including sourcing missing documentation for alterations made to the property or chasing late paperwork from the mortgage lender. We pride ourselves on our problem-solving approach. Using our in-depth knowledge and experience in buying and selling homes, we’ll identify quick and effective solutions to any issues that arise during your transaction. We will liaise with estate agents before your house goes onto the market. We will check the title deeds and we will compare them to the terms of the home report regarding boundaries and other matters raised in the home report. We will also check that all documentation is in order in connection with any alterations/additions/extensions to the property. We endeavor to identify any potential issues from the outset. We will also advise on any potential LBTT (Land and Building Transaction tax) issues. Here at Claphams Solicitors, we are always upfront about our costs. Whilst many firms may provide a quote that seems like a great deal, they will fail to disclose essential add on services such as searches as part of this quote. We have no hidden costs and our search reports are extremely competitive. We also do not receive any commission on the reports we instruct so you can be sure we will always look for the best deal for you. The price we are charged is the price you pay, always. Claphams are on all main lendors panels, including Halifax, Virgin, LLoyds, Bank of Ireland, Accord, Bank of Scotland, RBS, Natwest, Santander, First Direct, Yorkshire Building Society, Credit Union, Leeds, Nationwide, TSB, Cheltenham & Gloucester, Barclays, Cooperative, Clydesdale, Skipton & Woolwich. Partner, Debra Clapham, has been involved in legal education in Glasgow for some 16 years, including as Senior Tutor and Course Director in Conveyancing at the University of Glasgow for several years. Debra is also Editor of a conveyancing textbook recommended widely as essential reading in Scotland’s University Law programmes. 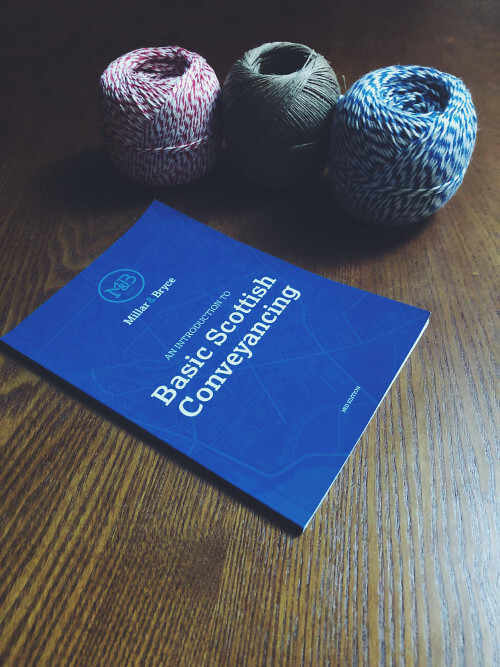 The book, “An Introduction to Basic Scottish Conveyancing“ is used widely by students, legal trainees, paralegals as well as seasoned practitioners as a reference and guide to the current law in Scotland. The book deals with the full breadth of conveyancing law, from mortgages and tenancy issues to registering the property on the Land Register. To read this online, please click here. With Debra at the helm of our conveyancing department, you can rest assured your property transactions are in good hands. We’ve helped many clients with buy to let purchases, from first-time landlords to experienced property managers. Our trustworthy team will make sure all the statutory and regulatory regulations are met and will negotiate a successful deal, so you can concentrate on managing your property portfolio. To talk to our experienced and respected conveyancing legal team, contact us today on 0141 620 0800 or fill out our online enquiry form. Based in Clarkston in Glasgow's Southside, we help clients in Newton Mearns, Netherlee, Giffnock, Eaglesham, Carmunnock, Stewarton and across Glasgow. With 70+ five-star reviews on Google (click here to read these reviews), we can deliver an excellent conveyancing service for you too.